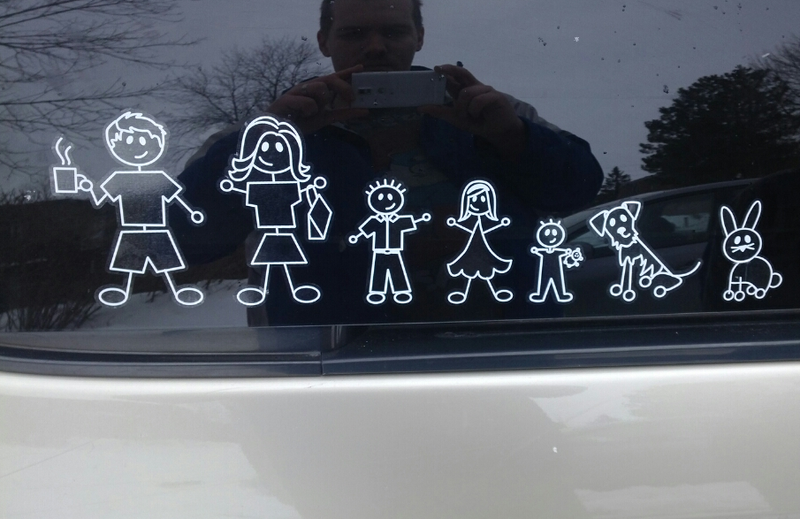 I recently had the opportunity to review Family Car Stickers. they are cute and a fun way to show off your family. Familystickers.com have a great selection of pre-made Family Stickers or you can choose to create your own..My kids loved creating their own character. Your characters arrives on one sheet, which helps to ensure they are lined up when you stick them on your window. Applying the Family stickers is very simple: Lay on flat surface, remove thick backing paper at an angle and carefully peel it off, align the family stickers to window,press down on the top corners and make sure it is on straight with no creases, when you are satisfied press down on the middle working your way out, make sure there are no creases or air bubbles. keep smoothing it until no air bubbles are seen. then carefully start peeling at an angle starting from the corner, if a character lifts up simply carefully put paper back down and smooth it some more or use your fingernail to hold it down and press it down into place. once all stickers are applied smooth it down again to make sure they are all stuck on properly. There is no sticky residue left behind or mess to clear up and it’s really fast and simple to apply. I find them really cute and different from ones you find in stores. If you are looking for different Family stickers i highly recommend checking out familystickers.com. Familystickers.com have offered a giveaway for one of my readers to win a $30 Gift card for any items at familystickers.com. I would choose the &quot;In Loving Memory Of&quot; sticker. Oh my gosh there are so many cool ones…skiing, pets, but I honestly have to go with the zombie family too! HILARIOUS…just like my family! Custom Designed Family Stickers – Got it all picked out and ready to order. 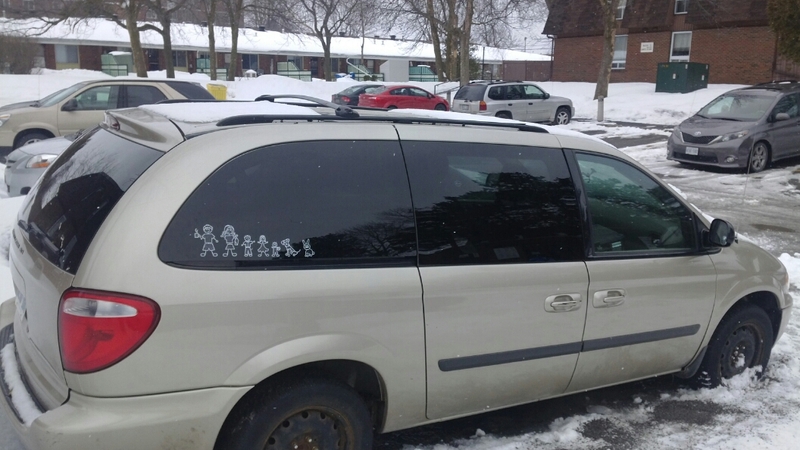 Daddy, Mommy, 2 kids, 2 dogs, 1 cat and 1 rabbit. 🙂 Hope I win! I&#39;d get my little guy a personalized chef&#39;s hat – too cute!